The UNIV 10 universal to Indian grounded power adapter will be your best tool, when traveling to one of the most magnificent countries in the world. Indian History, culture and land is remarkable and amazing. If you are visiting for the first time or returning you will be surprised with this amazing country rich and diverse in every aspect. 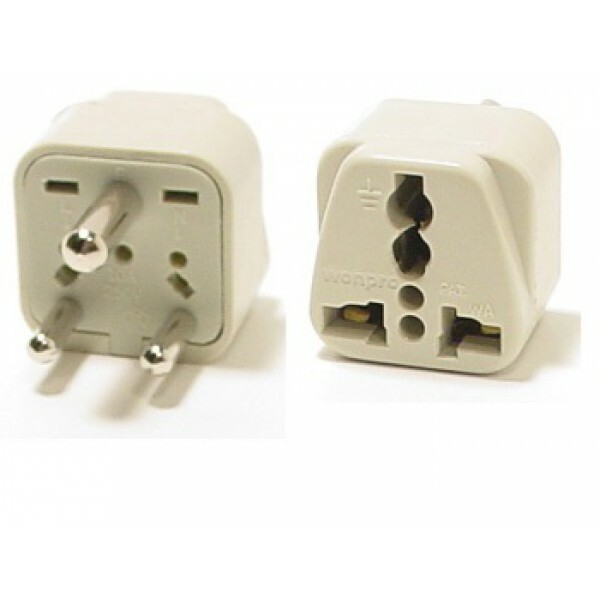 Our WA-10 universal to India plug adapter is a type D power outlet plug which are also known as old age British plugs. It is composed of two round large pins and a thick round grounding pins, arranged in triangular shape. Earlier it was also used in the UK but now a days used only in India, Nepal, Namibia.Universal grounded power plug adapter with the patented universal receptacle design that accepts plugs from most countries including the US and Canada.